We are a leading Manufacturer of solar reflective coating from Hyderabad, India. Owing to the expertise of our skilled and experienced professionals, we are able to offer an extensive range of Solar Reflective Coating that complete protection against carbon dioxide penetration, the offered coating is precisely processed using premium quality ingredients and advance technology in accordance with quality standards. 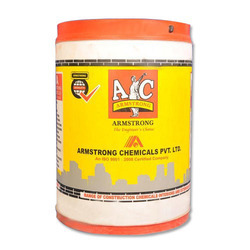 Moreover, customers can avail this coating from us in various shades although which is recommended. Looking for Solar Reflective Coating ?